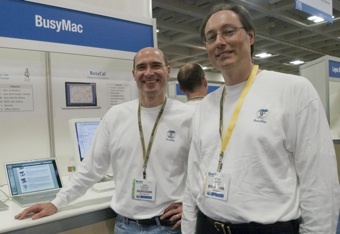 BusyMac was founded in 2007 by Dave Riggle and John Chaffee. Dave and John have a long history of building great software together dating back to the early 90's when they created Now Up-to-Date, a revolutionary network calendar for Mac OS 7. Now Up-to-Date and its companion app, Now Contact, were the de facto standards for managing your calendar and contacts. That's where BusyMac comes in. We've leveraged our years of experience and passion for building great apps for the Mac and have created BusyCal and BusyContacts — the ultimate Calendar and Contact Manager for macOS and iOS.